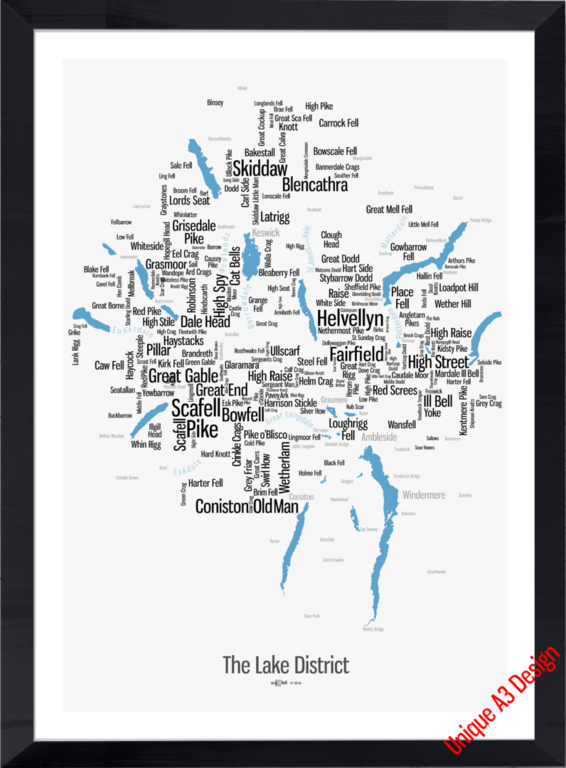 Lake District & Snowdonia Word Art is a collection of contemporary, high-quality digital artwork giving a whole new view on the places you love. 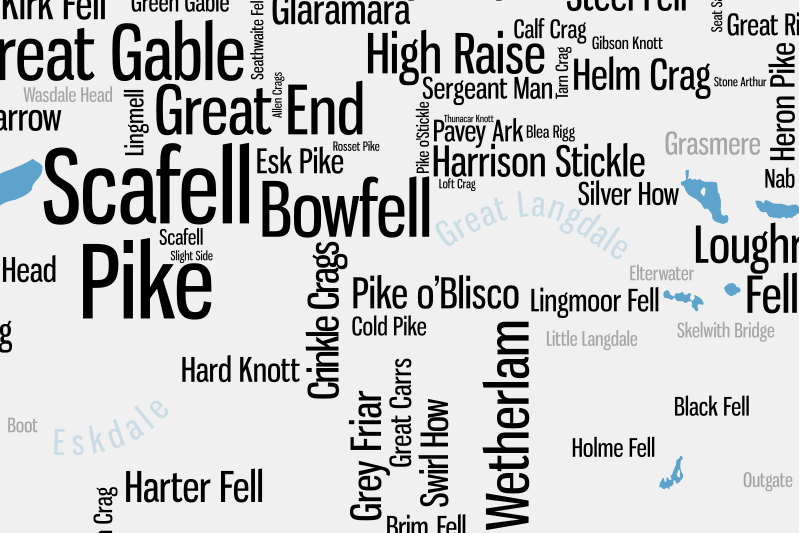 Display these at home and you will be endelessly going back for another look... or create a bespoke version, perhaps with your favourite Wainwright highlighted, or an additional peak or place not currently featured. Whatever you desire, contact us for more information and a quote. 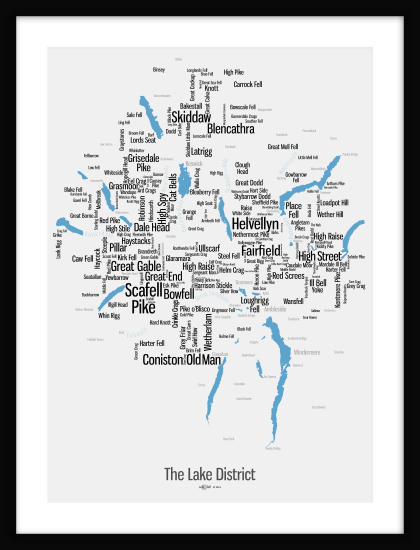 High quality digital artwork mapping the 214 Wainwrights (fells) of the Lake District - a fantastic and unique visual typographic map for every lover of The Lake District. The image is beautifully printed on high quality heavy-weight paper, with a satin finish and a plain white border. Printing is either digital or litho, depending on size, but with both giving vivid, long-lasting, pin-sharp images. Designed and manufactured in England. Free delivery to mainland UK. 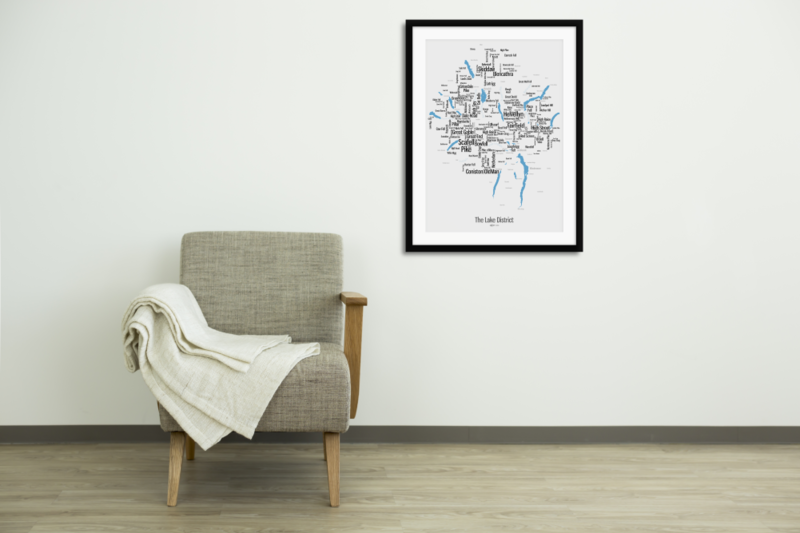 High quality digital artwork mapping the mountains of northern Snowdonia - a fantastic and unique visual typographic map for every lover of North Wales. The image is beautifully printed on high quality heavy-weight paper, with a satin finish. Printing is either digital or litho, depending on size, but with both giving vivid, long-lasting, pin-sharp images. Our framed Word Maps use FSC-certified solid wood with conservation grade mounts and are glazed with 2mm Crystal Clear Acrylic - which is 20% clearer than glass and much safer. 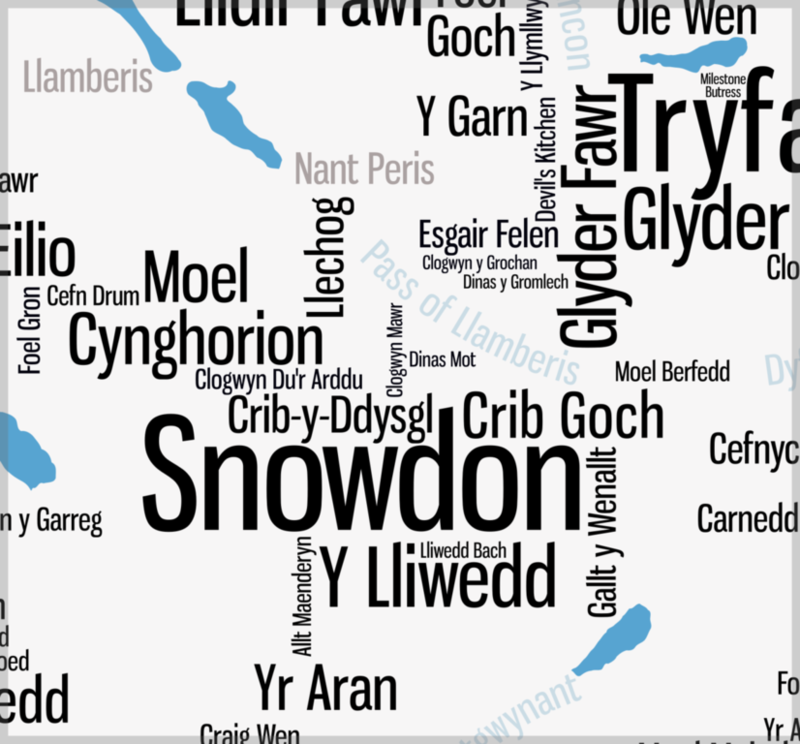 Print sizes are the same as given above for both the Wainwright and Snowdonia Word Maps. All are supplied fully finished and ready to hang! A wide range of frame styles is available on request. The frame example shown is finished with a black stain, which shows the natural woodgrain. Please contact us for options and prices. For bespoke options and personalisation, please contact us for more information and a quote.